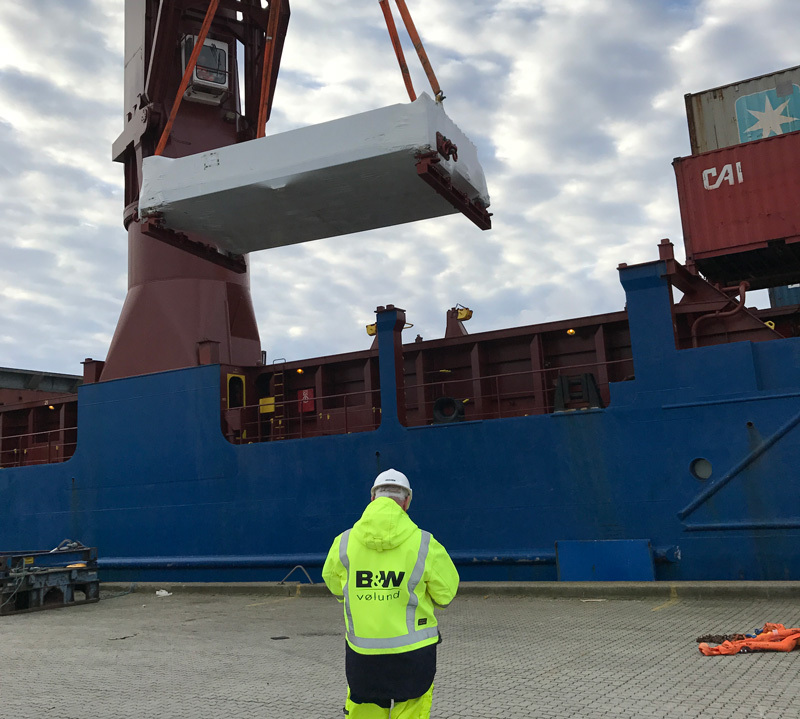 B&W Vølund contacted Trusted because they encountered problems of knowing where their cargo is and when it arrives at the final location. In connection with a transit at a port in China, B&W Vølund experienced that their cargo was exposed to damage. They received a message from Trusted Visibility Suite that the tracking device has measured an impact at 5,5 G.
The graph indicates that the cargo has been handled with caution until it reaches the port, where the container during offloading receives an impact at 5,5 G. This meant that B&W Vølund had to check the cargo for potential damage. The X, Y, Z graph is showing which direction the cargo has been dropped. Moreover, the satellite photo illustrates that the incident has happened at the off-loading from the ship at the dockside. 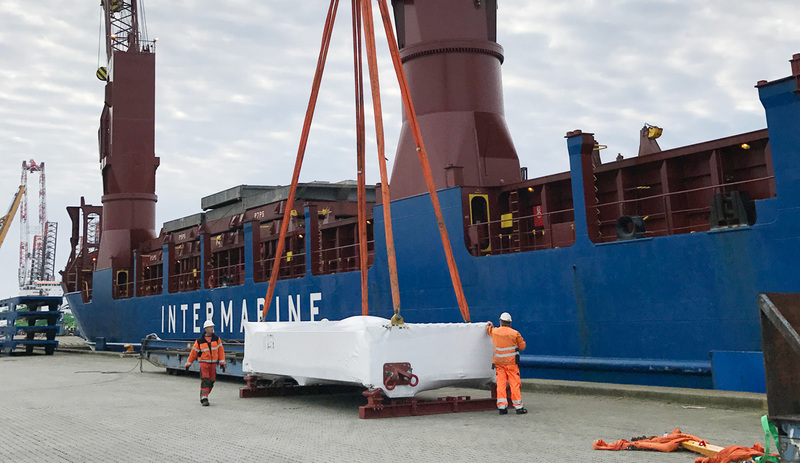 These insights have created value for B&W Vølund, as it enables them to analyze every single cargo for potential damages during transport and shipments. Furthermore, they can quickly determine the located of their cargo and when it reaches the customer. Some orders are sold on a CIF clause, which means that the final customer is liable for potential damages. Real savings can now be realized through documentation of damage by using Trusted tracking devices and cloud-based management solution. Do you want more info on our case stories or want to hear if a Trusted solution could help your supply chain management line?